…a little late, I’m afraid. 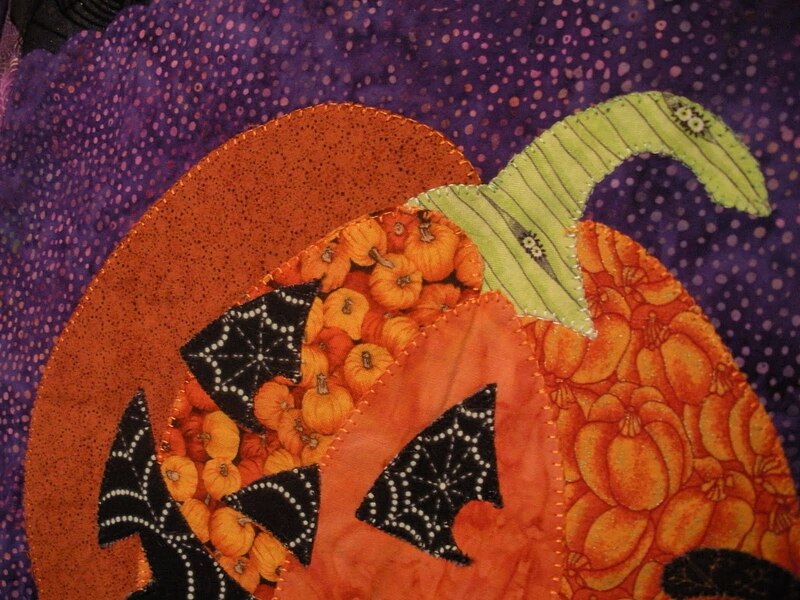 I thought I had posted about my Halloween quilt I finished just before Halloween 2007, but could not find it in my blog archives, so I wanted to be sure and show it this year. This is loosely adapted from a 2004 (I think?) 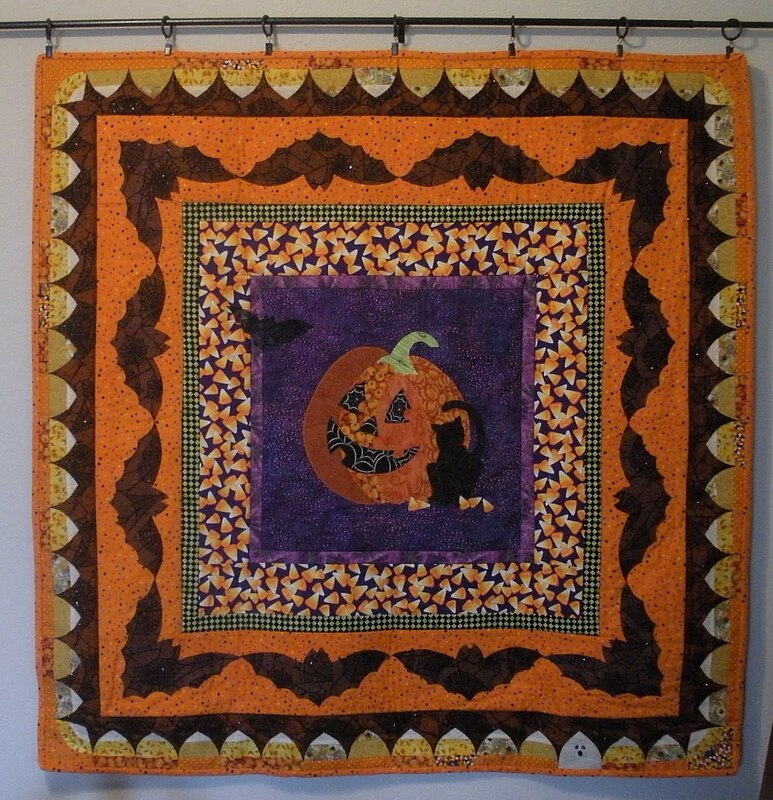 Fons & Porter cover quilt, but I changed the inner border(s) around the jack-o-lantern medallion, and the candy corn border is my own addition. 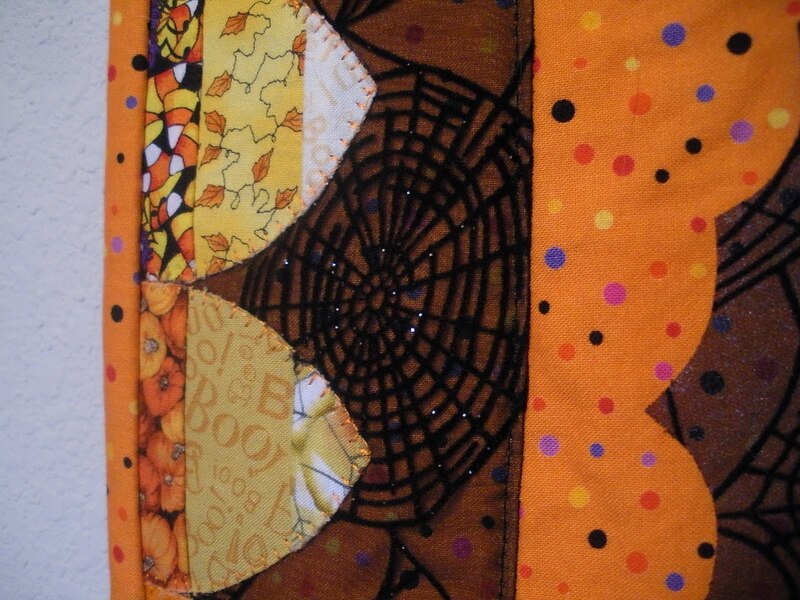 The spiderwebs on the black fabric I used in the jack-o-lantern’s face glow in the dark…which adds an extra element of fun! So, here’s hoping you had a great Halloween weekend, from our batty house to yours! So cute. love the little candy corns! Very cute. How fun it would be to hang it each year. Beautiful! The colors are great. I don't remember seeing this one before, Doris, so I'm happy you shared it cuz it's very cool! 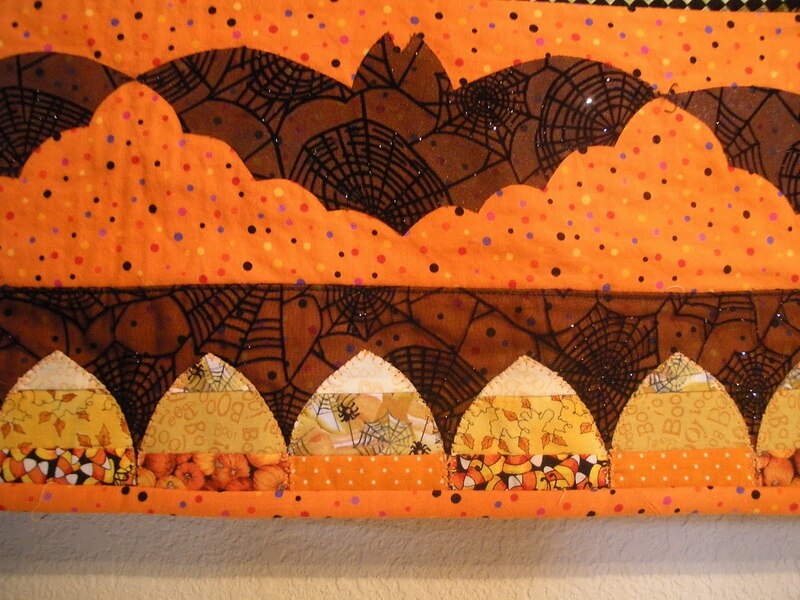 I especially love all the textures in those borders, from the candy corn to the spider webs to the bats. What a fun project! That is seriously so beautiful! Wow! I really love the candy corns! Thanks for your kind support on my blog. I appreciate it. One negative comment can cause a lot of hurt. Anyways. 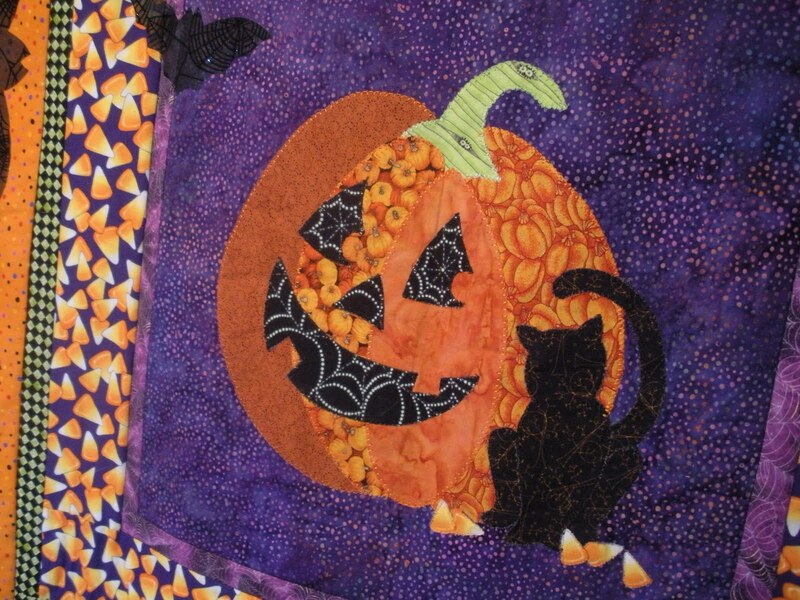 This Halloween quilt is so cute! I've been looking for one for my entryway and just haven't been able to find one that's my style. I think this one is great! Thanks for sharing and I think your little Lion in the post below is darling. So fun. 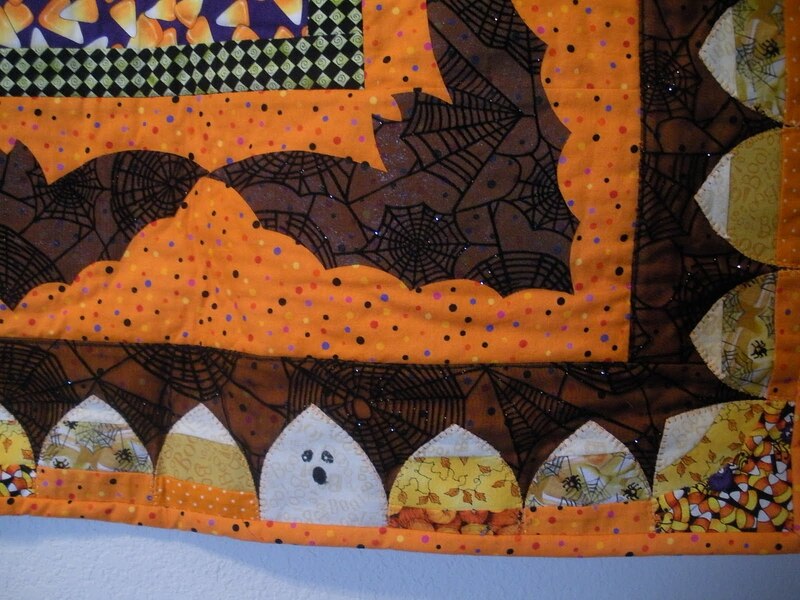 Didn't realize you designed the candy corn border yourself. It's beautiful! Good job!